"Here’s a little Tyrwhitt titbit for you: you can you wear a smart stripe tie like this with a striped shirt if you’re feeling a teensy bit bold. Just make sure your shirt’s stripes are a lot thinner than the tie’s – or vice versa." 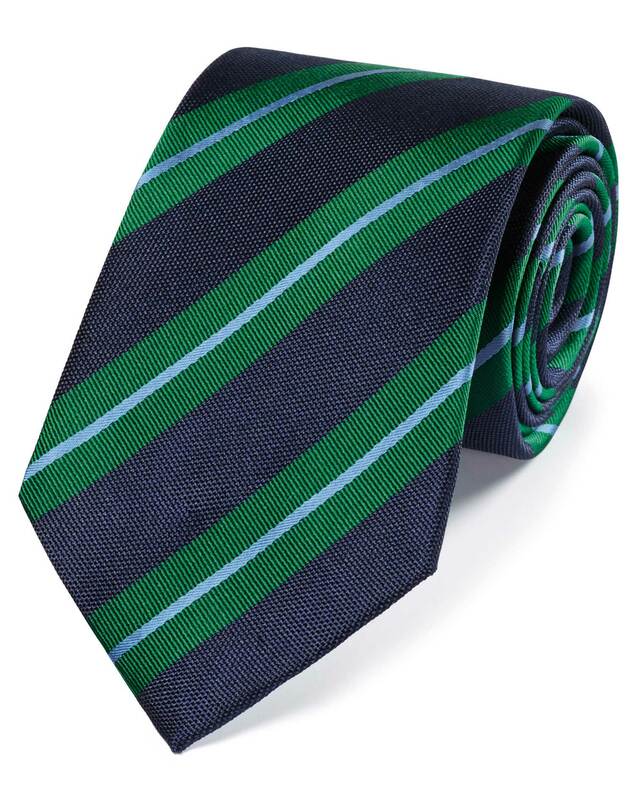 "A modern take on the classic striped tie: crafted from pure silk and finished by hand." 3 months ago Haven't worn it yet but it "pops." 3 months ago Great products. Very good selections. 4 months ago I never received this item! 4 months ago Worth the sale price, nice tie.